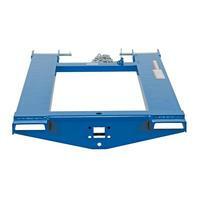 Convert your fork truck into a tow truck for moving trailers and other portable equipment. Simple design slides onto forks and secures into place with pin style tine locks and a safety restraint.. . Welded steel construction with blue baked-in powder-coat finish for added toughness. 5”W x 2”H usable fork pockets. 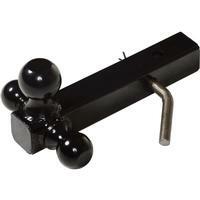 Optional pintle hook, tow balls, lifting hooks and hitch available. 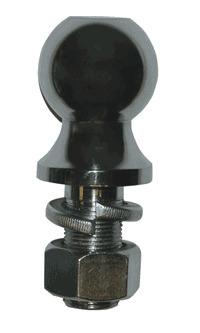 Bolt on design. Never exceed the 4,000 lb. 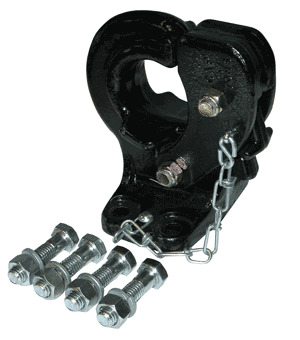 capacity of the hook base. An attachment does not increase the total capacity of the unit.